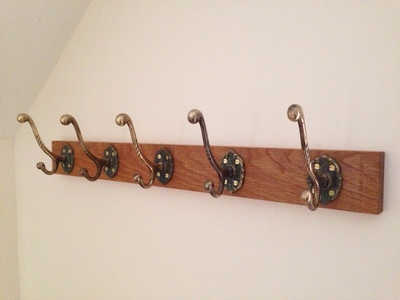 Salvage some old coat hooks and create your own upcycled coat rack for a hallway. I used a simple piece of oak as the back plate, however you could get creative and use other reclaimed wood. How about using a piece of driftwood or a section of a vintage wooden crate? Look out for interesting coat hooks on junk furniture. I salvaged these brass coat hooks from an old dresser unit which a neighbour was sending to the dump. 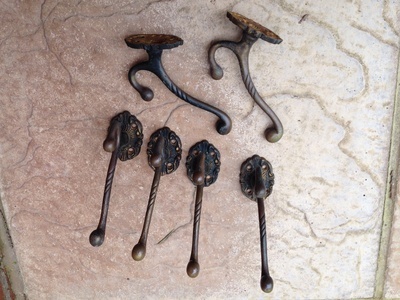 You can also pick up new ‘antique style’ cast iron hooks cheaply online. Sand down the wood as needed and rub with wood finishing oil. 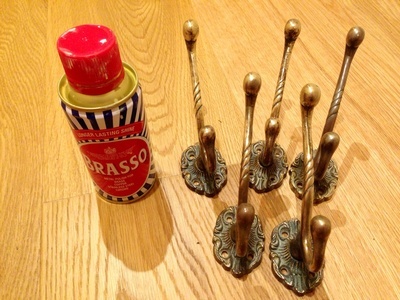 Clean up brass hooks with brass polish. Space out the hooks on to the back plate and mark where the hook screws need to go. Drill small holes for the hook screws. 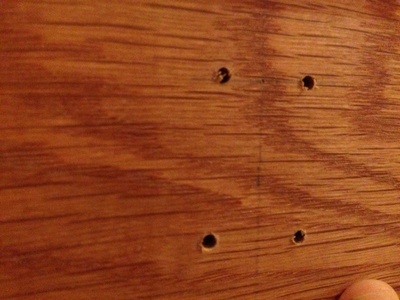 Drill several holes in the back plate for attaching to the wall. Position these behind hooks if possible to hide them, countersinking the hole if needed. 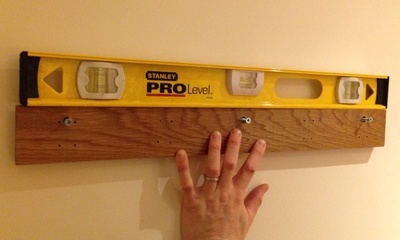 Attach the back plate to the wall using suitable screws. 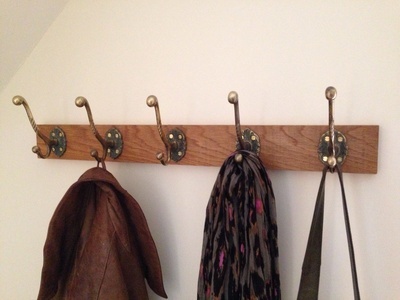 Attach the coat hooks using wood screws. Have you made your own coat rack? Please share a picture of your creation via the comments forum.